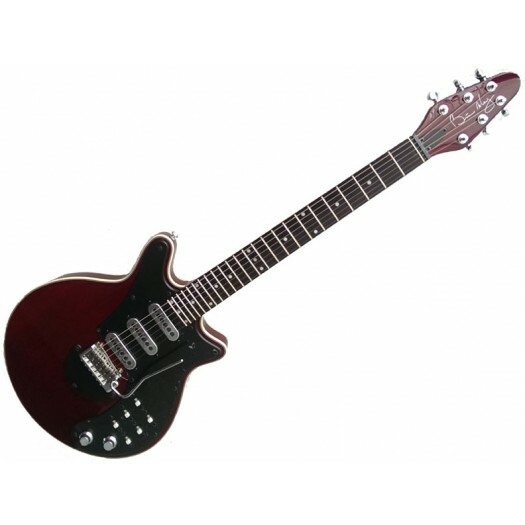 The Brian May Signature Guitar ... inspired by Brian May's legendary 'Red Special', an instrument that has achieved iconic status a unique place in rock history, and designed in conjunction with Brian May himself. The result ... a stunning guitar, blessed with superb build quality, awesome playability and an astonishingly rich diversity of killer tones. In fact it delivers everything you'd expect from an instrument built to the exacting standards of one of the world's greatest guitarists but, in keeping with Brian's vision of a "guitar for the people", with an amazingly affordable price-tag that belies its superior appointments and performance. Without question one of the most eagerly anticipated instruments of the century , the Brian May Signature was originally launched in winter 2001 to rapturous critical and public acclaim. Guitarist magazine hailed it as "Best Guitar of the Year" and theatre audiences around the globe thrilled to the guitar's sound in performancein the Queen musical "We Will Rock You". But the story certainly didn't end there. Working once again with Brian and his long-standing guitar technician Pete Malandrone, House Music has significantly improved upon the guitar's overall construction as well as refining the bridge assembly, electronics, finishing and colour choices. Simply put, the world's best artist designed guitar has just got a whole lot better. A little over 40 years ago, largely because we could not afford to buy a high quality electric guitar, and partly because we enjoyed a challenge, my Dad and I decided to make an electric guitar. I designed an instrument from scratch, with the intention that it would have a capability beyond anything that was out there, more tunable, with a greater range of pitches and sounds, with a better tremolo, and with a capability of feeding back through the air in a "good" way - i.e. in a self-sustaining mode. Previously (ironically) electric guitars had been designed NOT to feed back, but in the hands of Jeff Beck, Pete Townshend and Jimi Hendrix, they were forced to! My Dad had the technical knowledge and skills to make the dream come true. The result, after two years of spare-time work, exclusively with hand tools, was the instrument I now call my "Red Special" - or the "Old Lady" - the guitar which has been a part of me through 30 years of live concerts and studio work with Queen, all around the world. 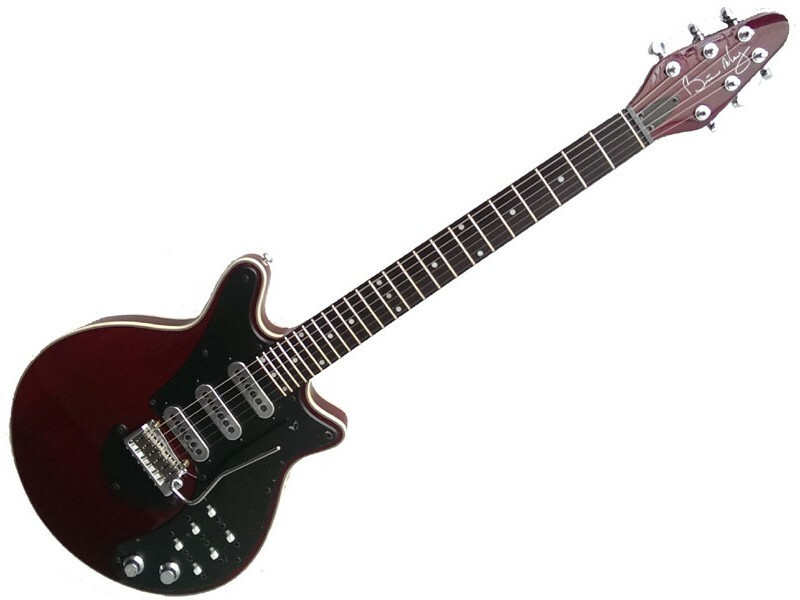 Through the years there have been a multitude of replicas of the Red Special, built by amateurs and professionals, including two major commercial issues, with Guild Guitars of the USA, and Burns Guitars of the UK. As of 2006, the commercial Red Special has at last come home. I was concerned that it ought to me personally who controlled the manufacture of these instruments, and so I have teamed up with Barry Moorhouse of House Music, and Pete Malandrone, my long-time tech man, and we have created BRIAN MAY GUITARS, our aim being to make the absolute best product at an affordable price, so that all may enjoy the special sound and feel of a Brian May guitar.